A stylish and modern set of high quality gift tags. 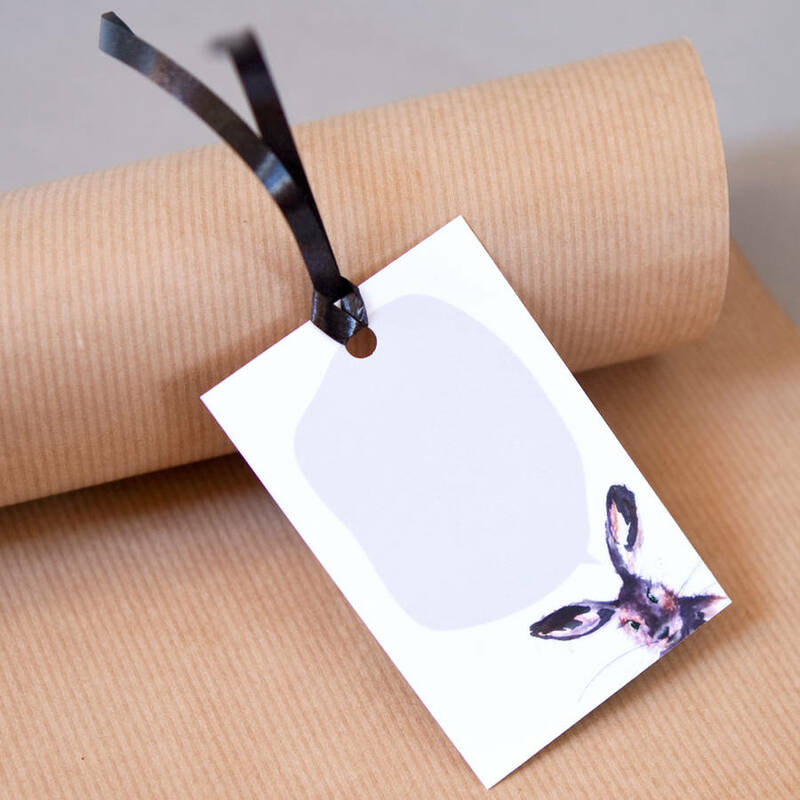 Printed on top quality heavy-weight card with a soft laminate finish, these gift tags are the perfect finishing touch to any pressie. 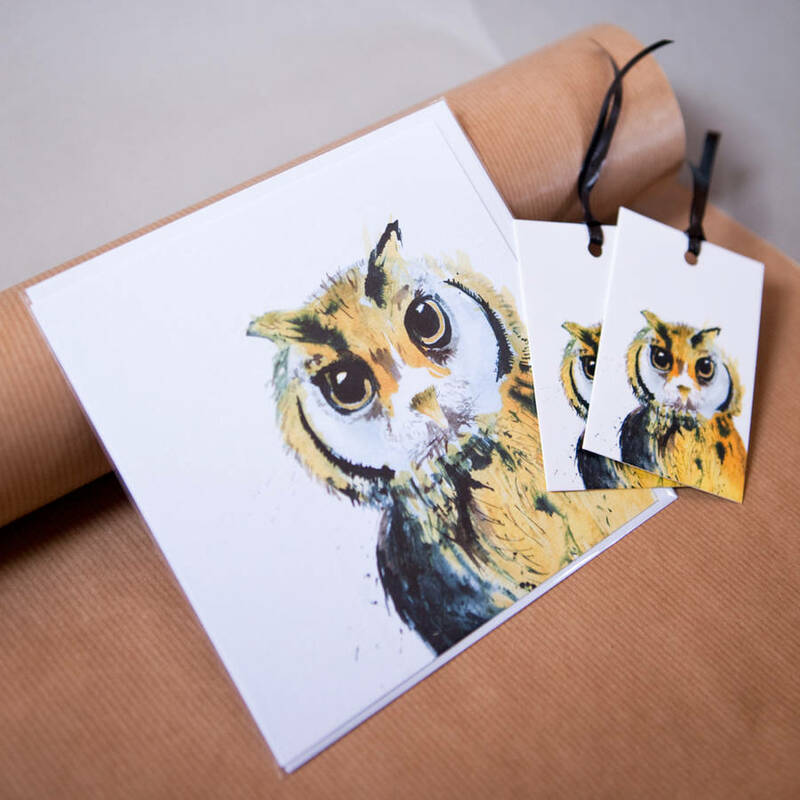 They feature my hand drawn Inky Owl illustration on the front, and a tiny Inky Hare and speech bubble on the back for your message. 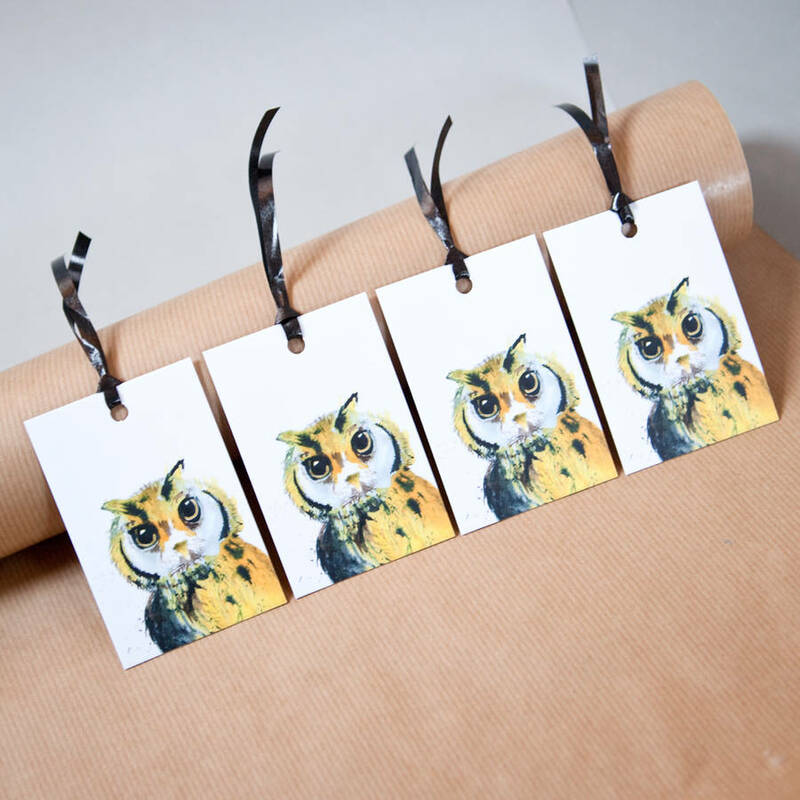 Available as a single tag, set of 4, or set of 2 with a matching Inky Owl greetings card for the perfect coordinating theme. Proudly printed in the UK as usual. Please note that ribbon colour may vary from the photograph. 300gsm high quality matt-laminate card. Ribbon.